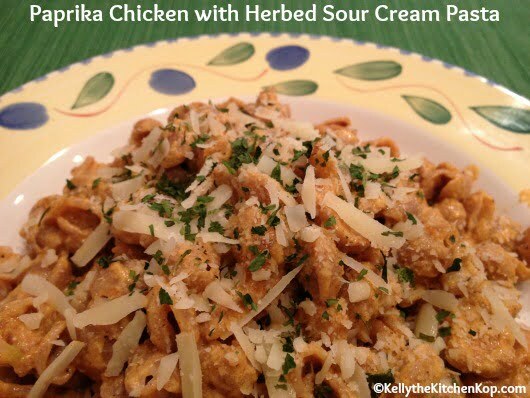 You will love this Paprika Chicken Breast with Pasta and Herbed Sour Cream Sauce, guaranteed. I don't know about you, but I love anything with lots of real cream, whether it's cream in my coffee (that's how I redeem my morning coffee), or sour cream on one of our favorite Mexican dishes, and anything else, too! Do you still think you shouldn't be eating the fat that is in real cream? Oh myyyyy, I hope you'll read more here about healthy fats and come back to the real stuff! It's good for you and tastes so good, too. Not only that, but if you don't have enough fats in your diet, you can't absorb and use all the nutrients in the other healthy foods you're eating. 1 cup cream (more or less depending on how creamy you want it) — this is called “whipping cream” in the store, be careful not to buy ultra-pasteurized! You'll know not to get it if the use-by date is 2 months out! Read why here. Once everything is cut up and ready to cook, start cooking your pasta. For the chicken mixture, melt butter in a big frying pan, here's my favorite pan that we use a ton! Saute onions and garlic until golden (and caramelized – yum! ), then add the chicken, paprika, sea salt and pepper. Stir now and then and don't overcook. (If you're not using pasta, stir fry your vegetables in the same pan when the chicken is about half-way done.) If your pasta isn't done yet, turn the chicken way down so it doesn't get dry. When the pasta is done, drain, and use the pan it was in to mix together the rest of the sauce ingredients. (Or use the sauce over the chicken/vegetables or on a salad.) Stir the pasta back into the other ingredients and then stir in the chicken mixture. Serve with cheese and parsley on top if desired. It's not super pretty but has great flavor and everyone loved it and had 2-3 helpings! I always make extra because it's great as leftovers; simply reheat with a splash of cream and a bit of butter to keep it from getting too dry. Best served with a small amount of fermented vegetables as this helps with digestion and tastes great, too! I like keeping these little bags of fermented vegetables on hand since our kids won't eat much of it. Find more main dish recipes here. Or my complete recipe index here. Sick of planning meals and answering the question, “What am I going to feed these people?” No matter what kind of eater you are (traditional, GF, paleo, vegetarian)… Check out these affordable interactive easy-to-use meal plans where the work is done for you. 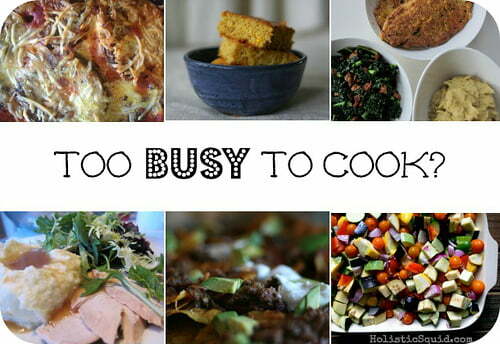 NOW recipes also available from Nom Nom Paleo, The Paleo Mom, and Wellness Mama all in one spot! You can read over my review here. Your version sounds great, good job improvising with what you had! can someone give a new link…I get bad gateway when I click on the recipe link. I’ve been making Chicken Paprikas for years. Old family recipe from Czechoslovakia. Real simple and oh so rich and tasty. Anne Gage Montalvo- you and dad would love this, I think. And all those yummy flavors would be comforting on a fall day. Maybe when I can have dairy again. Looks yummy. This sounds so good! I’m all about the full-fat creams, too. YUM! Thanks so much for the recipe, Kelly. Pinning!